The Big Game is coming up quick and I know just a little bit about throwing the ultimate "Copyrighted Major Football Sports Event" party. Grab a pen and paper and prepare to take some notes and you will be yelling "I'm going to Disneyland!" after your friends and family congratulate you on an epic party. 1. Size matters. No matter what anyone says, you need to have a respectable television to watch the game on. I know many people get by nowadays with a laptop or tablet and that's totally cool, but if you invite me over to your house to watch the game on your tiny screen, I'm gonna throw it out the window. 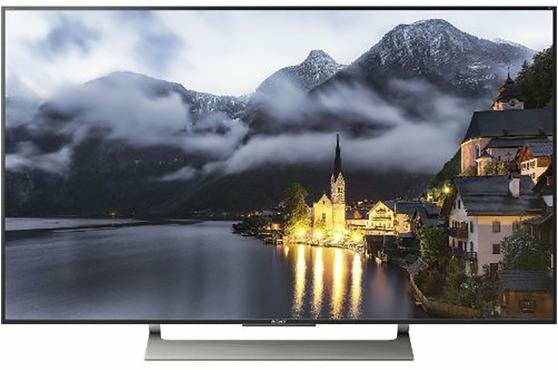 Good news is you can get an awesome 55" 4K TV at RC Willey from Sony for under $700, and, with the Winter Olympics coming up you can watch all that powder and sweat in the best resolution on the market today. 2. Seating. 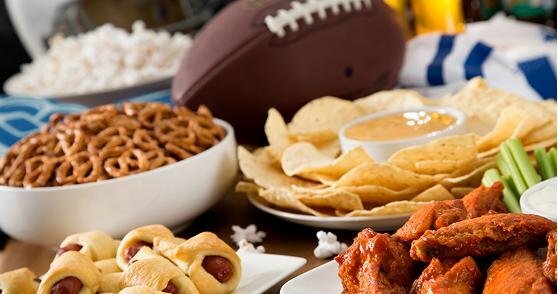 The Big Game lasts 3.5-4 hours long, and people usually show up early and stay late. You have to have a comfortable place for them to sit. Like I said earlier, if you hand me a metal folding chair for a 4-hour event, I'm throwing it out the window! RC Willey has a ton of great sectionals, sofas with a chaise, recliners, etc., and just like the Patriots, they will be good for years to come. 3. Don't forget the Antenna! My house is a streaming house but every once in a while we have to turn on a major network and a good antenna can bring you crystal-clear HDTV. Last year I had a bad antenna and every time someone walked in front of it the screen froze. My Dad threw me out the window. 4. Audio. Just about everyone has at least a 55" TV in their house these days which is pretty amazing since many of us grew up staring at a TV smaller than a pizza. But, these TVs don't really bring the theater experience that the future promised us. Why not? Because we all forgot about sound! You have to have a soundbar if you want to really immerse yourself in the game. You want to hear the cracks of helmets, the punishment of a hard tackle, and the soft tears of the opponent's quarterback when he gets sacked. There's a great soundbar from Polk that has wireless surround sound speakers making it easy to get into the zone. 5. Secondary TVs. I like to have TVs wherever my guests will convene. I keep a small one in the kitchen so people can grab a bite to eat or a drink and not miss any of the action. I also place a radio in the bathroom so my guests can keep tabs on the game while doing their business. And I've been thinking about putting a projector downstairs for the kids! 6. Food! Did you know a lot of people don't care about sports? It's true! But those people can't turn down a good excuse to eat salsa, guacamole, hot wings, french onion dip, etc. I like making grilled cheese's in a panini press, homemade pizza, and many dips with these small kitchen appliances. 7. Halftime show. Look, halftime shows can be a serious disappointment but not if you throw your own halftime show! We throw our annual karaoke halftime show where our guests come prepared to belt out their favorite song and hopefully don't have any wardrobe malfunctions. Also, once you own a karaoke machine you might find yourself walking around the house with your microphone telling your kids to do their chores or barking at the dog. 8. What about the children? Kids aren't used to their parents ignoring them for 4 hours which is why I usually bribe them with Nintendo games! You want to have some activities so the kids can have fun while you have fun or else you won't have fun. This is where a third tv comes into play. Set the kids up with some movies, snacks and video games and you'll easily have 4 hours of adult time to enjoy. 9. Clean up. Oh yeah, the worst part of throwing a party. Many of our furnishings come in a stain resistant fabric so start there if you are a party animal. If you need a new dishwasher or vacuum use the Big Game as an excuse to treat yourself and test it out. I'm a huge fan of Roombas. In my quest to be healthier this year, I’ve been working my way through some quick, healthy meals I’ve found online. Some have been better than others, like most things, but there have been some winners as well! I’ve been using this list from the food network to help me come up with some fast and healthy meals. Check out some of my favorites and the ones I want to try below! Wouldn't it be great to make it on this pizza oven? Even better! Here are some of the recipes that are on my make next list! Where do you find your healthy meals? Getting organized can be tricky and overwhelming if you plan on doing it all at once. Organizing your home and making sure your environment is organized will help you get other aspects of your life organized as well. I’ve been starting room by room and working my way through my house trying to get everything in order. While it’s taken me a lot longer than it should due to my lack of organization skills and a two-year-old running around, I’ve loved feeling more in control of my surroundings. If you’re wanting to organize your home but don’t know where to start, check out some of these tips below. Clean out your kitchen drawers. Any unused, broken, or duplicate gadgets should be thrown away or donated. Wipe down the inside of the drawers and use a flatware container to organize all your utensils. Go through your pantry and throw away anything that is expired. Notice what you have and what you are missing so you can replace what you need. For more ideas on how to organize a pantry click here. Find a place for all your electronic odds and ends. Find a basket or small box to hold your phone charger and headphones. You’ll never search the house looking for them again! A power strip and cable-management boxes will help hide and organize all the wires under your desk. You’ll have a cleaner look and a trip-free desk area. We’ve listed more ideas on how to organize your home office here. Make sure you have a space for everything that comes into your house - shoes, mail, purses, coats, etc. Hooks or a hall tree like this will help you create a clean, organized entry. Clean out your coat closet. Donate coats, boots, hats, or gloves that are rarely used to create more room and an easier space to organize. Use bins or baskets to store items that are not in use and make sure there are enough hangers for anything that needs to be hung up. Make an effort to keep the floor of your closet clutter free. Use the walls and hang up your athletic equipment. You can also hang up a pegboard to organize tools and gardening supplies. Clean out your medicine cabinet by getting rid of prescriptions or medications that are not used or expired. Wipe down all the shelves before you replace everything. Organize your closet and donate anything that you don’t wear frequently or that doesn’t fit. Organize your shoes with a shoe rack making sure the shoes that are out of season or less used are in the back. Clean off your dresser top. Have a unique bowl on hand so you can dump your pocket contents in it before bed. Just make sure you clean out the bowl weekly! 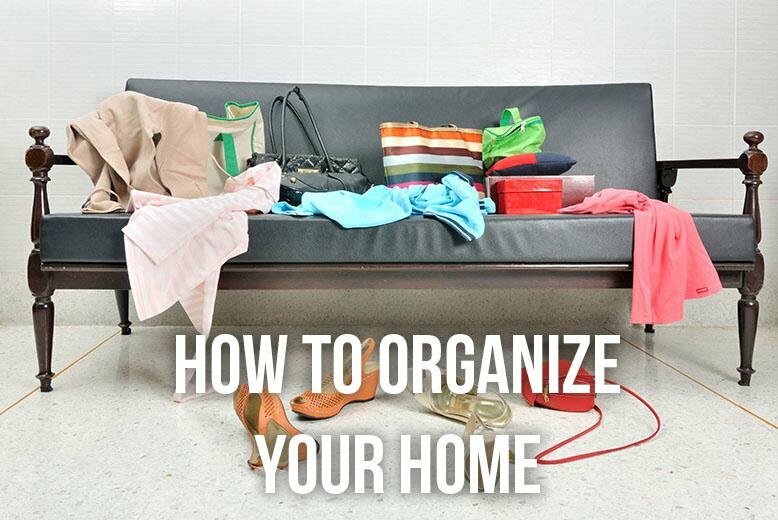 What tips do you have for organizing your home? 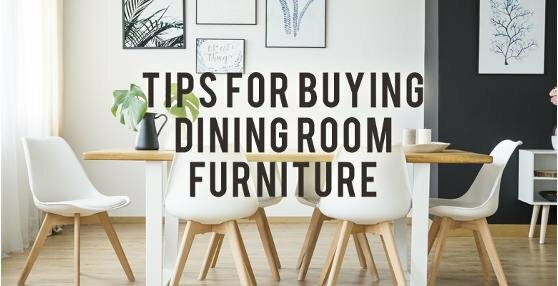 Whether you have a room specifically set aside for your dining table or a small dining nook, you can create the perfect space for every meal. 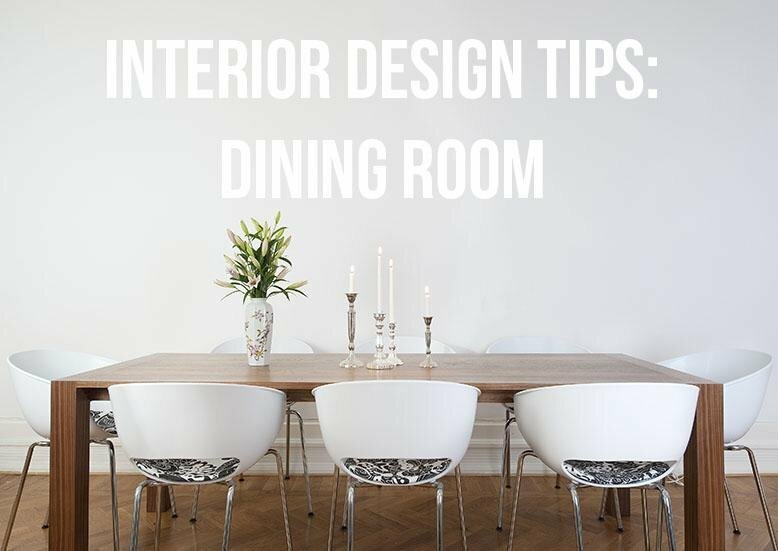 With just a few small changes here and there, get ready to transform your dining room! Obviously, you need a table for your dining room. Before you get your heart set on the shape of a table, look at the shape of your room. Circle and square tables are a good fit for smaller rooms or open layouts while long, narrow rooms fit rectangular tables best. When it comes to seating, don’t feel like you need to match your table and chairs exactly - unless you want to of course! Think outside the box. Eclectic chairs collected over time, benches, or even a sofa could replace a traditional dining chair. While rugs aren’t always necessary if you do choose to have one under your table make sure it is big enough that your chair pulled back won’t get caught on the edge. Not only will you find it annoying over time, it could be a safety hazard. Rugs with patterns are a better option than light-colored solids for hiding spills or stains. If there is enough space, a hutch or buffet is a great way to bring in extra storage. A dining table often is a multipurpose space, so not only will you be able to store extra tablecloths or flatware in a hutch, it can be a good place to stash whatever project in on your table during meals. Accessorize your space! 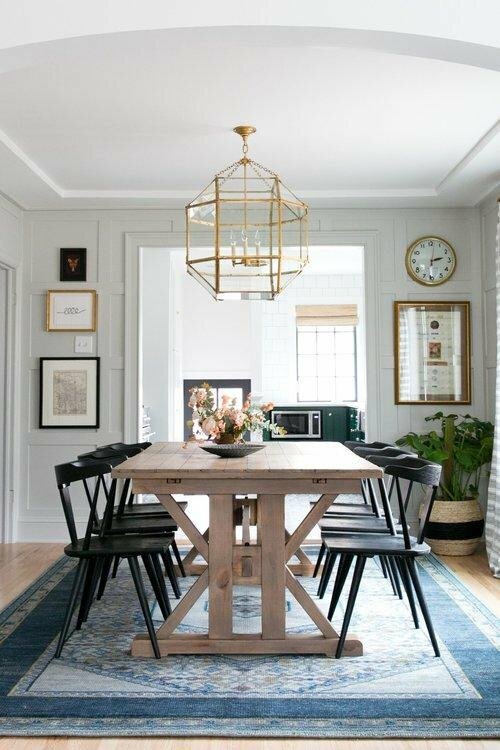 An interesting light fixture over the table, a unique centerpiece, and fun wall art will make your dining room reflect your personality more than anything else. Find something that you love and include it in your decor! How have you decorated your dining room? The happiest people are the ones who give priority in life to strengthening and nurturing their relationships with family and friends. Studies have shown that people in committed, healthy marriages or relationships have a higher life satisfaction. 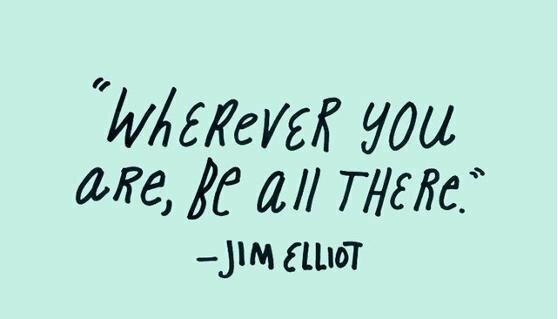 Make it a goal to connect every day- whether it's in person, facetime, or chatting on the telephone on your commute home. David Myers, a Psychologist says, “Intimacy, commitment, and support do, for most people, pay emotional dividends." I know I've written about the importance of a daily gratitude practice before. Surprise! It's such a great, healthy thing to do each day! It doesn't matter how you do it- write things down on paper, meditate, or talk about what you're grateful for around the dinner table each night--- just figure out how practicing gratitude works best for you, and do it! You'll start noticing the little things, be more appreciative, and become a better person for it. Meditation and mindfulness are all the rage lately. Everyone is doing it! Praying to a higher power and working on strengthening your spirituality can be beneficial for everyoe, whether you are religious or not. Studies have linked spending time in the great outdoors with better overall health, higher levels of vitality and well being, and less anxiety and depression. So breathe in the fresh air and make it a habit to get ouside for at least twenty minutes a day! Did you know that writing in a journal has so many more benefits than just keeping a record for your posterity? It turns out, it's actually very good for your brain! And soul! Some of the benefits include: aids in the healing process, sparks creativity, improves memory and comprehension, evokes mindfulness, helps you set and achieve goals, improves your writing and communication skills, and scientists are even thinking it can strengthen your IQ! It's no surprise that when you take time to look outside of yourself, there comes a level of fulfilment and happiness that is unmatched. According to Psychology Today, "When we help others we feel happy. There appears to be a direct correlation with overall well-being and giving our time, money or other resources to a cause that we are passionate about. Studies suggest that people who volunteer report better health and more happiness than people who do not volunteer." In this world full of technology and distractions, one of our biggest obstacles can simply be learning how to put down the phone so that we can pay attention. 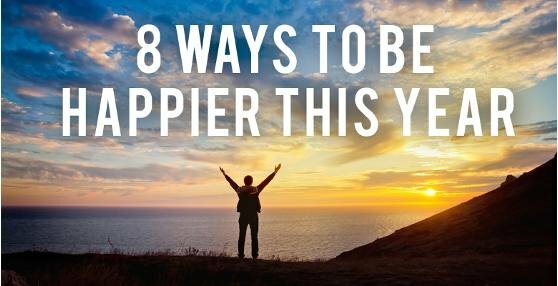 Being all there and fully present in our own lives can be truly challenging, but choosing to be deliberate in the way we manage ourselves can make all the difference when it comes to our overall happiness. In "Hands Free Life", Rachel Macy Stafford says, "Making it a daily practice to be fully present while in the company of loved ones meant the difference between intimately knowing and superficially knowing the people I love. It meant the difference between living each day catching glimpses of joy or just barely survivinhg each day without even a smile." Never stop learning! Challenge yourself to learn or try something new at least once a month. This will not only keep you sharp mentally, but you could pick up some new hobbies that bring a lot of joy and satisfaction to your life. I have been on the hunt for some good low-calorie recipes. It can be a little bit hard to find a good recipe that doesn’t sacrifice taste in the name of being healthy, but I’ve found a couple of food blogs that seem to be the solution that I thought I’d share with you! One thing I like about this site is you can pick what kind of meal you want. They are all clearly labeled Vegetarian, Paleo, Low Carb, Gluten Free, etc. So far, the recipes that I’ve tried have been pretty good! There is a huge variety of food types that you’ll be sure to find something that sounds good to you on this site. While not every recipe on this site is lightened up, there are plenty of healthy options available. Pretty much every recipe on this site is delicious! Where do you find your healthy, low-calorie meals? When it comes to decorating a space for your whole family you want to make sure you’ve made it into a place that is comfortable and cozy for everyone! It feels like almost my entire childhood was spent lounging around in our family room watching movies and playing games. Make your family room a place where your friends and family will want to hang out as well! Check out some of our interior design tips for your family room below. This room should be family friendly! If you have an heirloom vase you would be devastated to see broken, your family room might not be the place to display it. Think durable fabrics and slipcovers where you can use them, StainMaster carpet, and comfortable seating. This should be a room your kids can enjoy themselves in without worrying too much about ruining anything. Decorate your walls with fun art and other wall hangings. This is a family room, so why not create a gallery wall of your favorite family pictures? Click here for instructions on how to hang a gallery wall. Find furniture that can double as storage for your kid's toys and games. You’ll be able to keep playthings handy without having them all over the place. Something like this upholstered ottoman with storage would be a great option. If you have space, include a homework station in your family room design. Who wouldn’t want to do their homework or an art project in a comfortable, inviting space? This retro desk would fit into most small spaces and be the perfect spot for your student. If you have hardwood or tile floors, make your room more inviting by putting down a soft rug. Having a rug warm up the room is great for toddling babies, roughhousing kids, lounging teenagers, and relaxing adults alike. Don’t forget to have lots of pillows and throw blankets on hand! Find a cool basket, like this metal basket, to store your extra blankets in so you’re always ready for the next movie night. 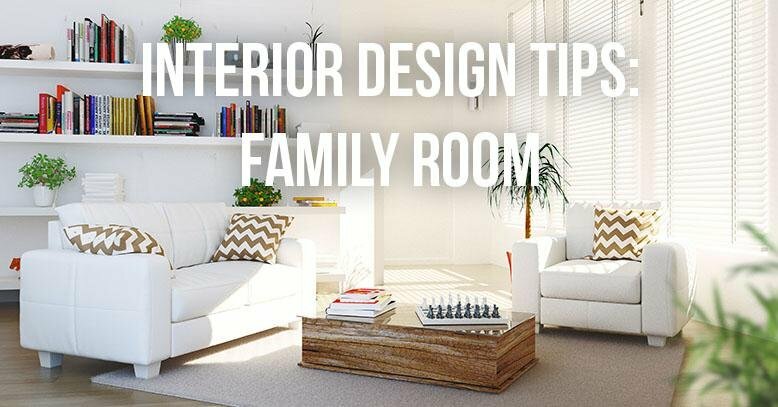 What interior design tips do you have when decorating a family room? - If the table has a leaf, make sure it fits snuggly. - Hardwoods, Softwoods, or laminates? Depends on your lifestyle and budget. Hardwoods are definitely more durable than softwoods, while laminates are definitely the least expensive option. - Square, round, or rectangle? It completely depends on the room, how many people you need to be able to seat, and also your personal preference. Round tables make the room feel a lot bigger, and create an intimate, warm atmosphere. Square and Rectangle tables are great at making a grand presence in a large room. - Dining tables generally stand 29 to 30 inches high. - Wood, fabric upholstered, or leather chairs? Wood seats to tend last longer, and are a heck of a lot easier to clean than upholstered chairs. 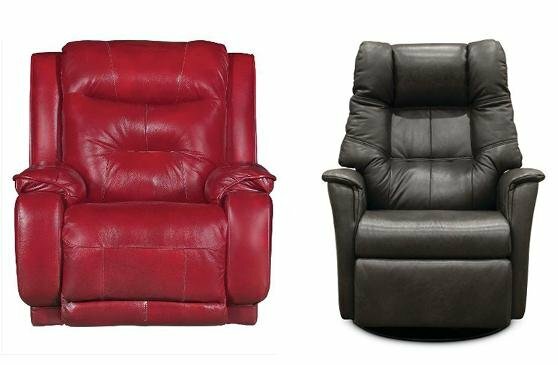 Leather chairs (real or imitation) are low maintenance and easy to clean. Ultrasuade, cotton blends or a commercial fabric are your best bets if you want to go with upholstery. Avoid fabrics like chenille and velvet, as they will show wear. - Rungs between the legs on a chair add stability. - Chairs shouldn't wiggle when you sit on them, or bend in the back. - Sit down on upholstered chairs to make sure it's comfortable and you don't feel like you're bottoming out. - 22 inches is a good standard width for an armless dining chair. 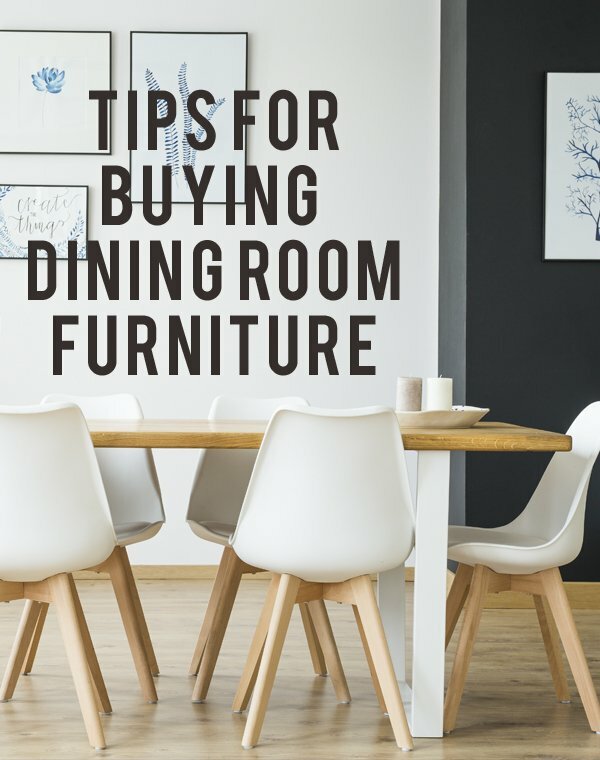 If your dining table or dining room is huge, you can go larger on the width of your chair so that the scale of the room looks right. - Avoid chairs that are narrower than 17 inches, because they don't tend to have enough support. For maximum comfort, choose chairs that are 20 to 24 inches deep. - 18 or 19 inches is an ideal height for a dining chair seat. As a rule of thumb, try to allow a minimum of 12 inches between the top of the seat and the top of the table. Isn’t it crazy how quickly grout becomes discolored and stained? The grout between the tiles on my kitchen floor is pretty disgusting and I’ve been thinking that it might be time to get on my hands and knees and clean it up. Problem is, I never remember to pick up grout cleaner when I’m at the store! Fortunately, there are some DIY ways to make your own homemade grout cleaner. This video shows three different ways to clean your grout, giving the pros and cons of each. Check it out! 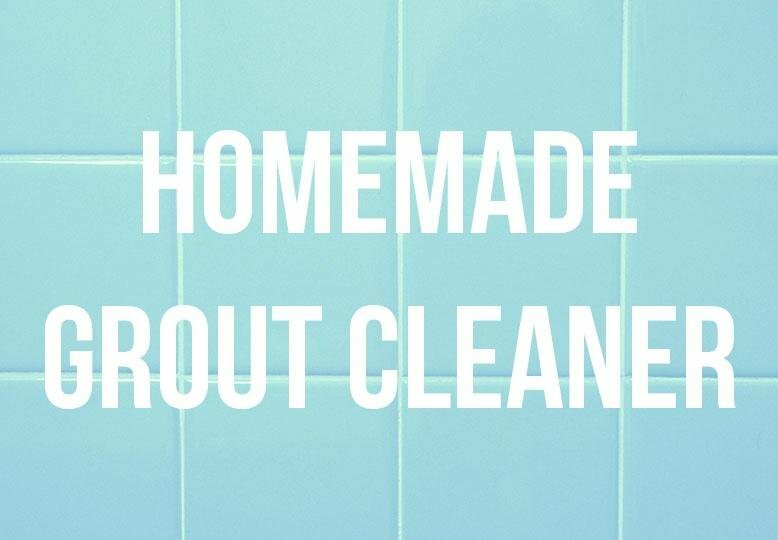 Do you have any other homemade grout cleaners you use at home? Please tell me I am not the only person who spends all day straightening and organizing closets, drawers, pantries, etc. only to have everything be a mess a week later. How do people stay organized? I have tried so hard to be better at staying organized this past year, and while it’s still a work in progress, I’ve noticed a little bit of a difference. There’s still plenty of room for improvement though, so I’ve looked up some tips on how to stay organized to help me and, hopefully, you as well! 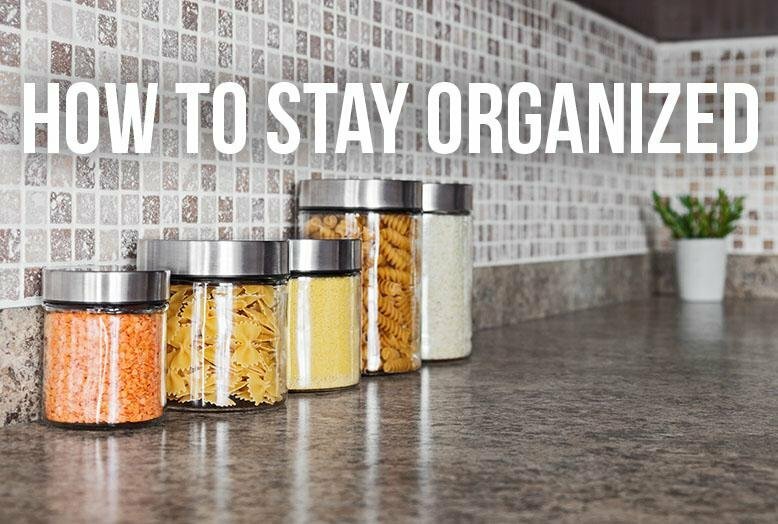 You don’t have to organize everything that comes into your house. Junk mail, loose papers, old lists, etc. don’t need to have a permanent place in your home. Toss ‘em! Just because something is on sale doesn’t mean you should purchase it. Before you buy anything that will end up in your home, make sure you’ve asked yourself if 1. you really need it, 2. if you have something similar, and 3. where it will go once it’s in your home. Think through purchases before you bring them into your home - you’ll end up moving it around and stuffing it into a corner if you haven’t thought it through! Some things just need to stay out - whether it’s a child’s permission slip, a package to be mailed, or returns to be made. Create one specific space where you can put items you aren’t ready to organize so you still know exactly where they are. A hall tree like this white one or a metal bin rack like this could be just what you need. Just don’t let them sit there too long! Avoid the junk drawer and make sure that everything has a place in your home. You should know where the pens, paper, and stamps are without digging through three different drawers to find them. Think of where you will really need those items the most and try to get their “spot” in a convenient place. Go through your clothes, toys, kitchen drawers, coat closet, etc. on a regular basis and donate things that you aren’t using anymore. Someone else may need that coat you haven’t worn in years, so why not give them the chance to find it? Make it a habit to regularly purge your belongings. Whenever you leave a room, grab something that doesn’t belong there and put it away on your way out. Used cups or dirty dishes won’t linger on the table if you pick them up and dump them in the sink as you walk past. Shoes will find their rooms if you can take a minute and move them from the hallway to the closet. This is the hardest one for me. Realistically, my house will never be 100% spotless with my toddler daughter running around and pulling everything off the shelf as she goes. I could (and have) drive myself crazy if I am aiming for perfection. That’s just not in the cards right now. Figure out what is the most realistic organization goal for your family and situation, and accept that it won’t be perfect. Do you have any tips on how to stay organized? Let us know!